If marathon training is about listening to your body then running during pregnancy is 1000x more about going with how you feel. If there is anything you should take away from this it is that! If you stay in tune to how you are feeling then you will know when you should take it easy or when you can handle a little bit more. It's your womanly instinct! I ran throughout my whole pregnancy but let me tell you, it was absolutely nothing like when I was in training. Some days I felt great, other days I knew that I needed to do a run/walk combination. As we entered the third trimester, running became more cumbersome and the ease of running just kind of melted away. You know how awkward it is when you are carrying something while running - you're gait is off, you're less efficient, etc. Well that is exactly how it felt! However in the end I'm so glad that I continued to run, as well as supplementing with pregnancy aerobics and strength training, throughout both of my pregnancies. It really did make a differences in keeping stamina throughout labor and in bouncing back to my pre-pregnancy state after the baby was born. Not only that but it was incredibly invigorating after finishing a run/walk, I felt more relaxed, less stressed and it definitely made for less aches and pains along the way. Hosts of women, even elites (think Paula Radcliffe and Kara Goucher) continue running during pregnancy and it's easy to see why. The benefits are too overwhelming to stop exercising! Less aches and pains (especially in your back). Faster recovery after the baby is born. Can lead to a faster and easier delivery. Releases endorphins that make you feel great! New studies show that exercise may lead to faster brain development in the baby. Protect against excessive weight gain, gestational diabetes and fatigue. Enhance your immune system while guarding against colds and other bugs. Increases your body image! No feeling like a beached whale for you! Usually, if you were a runner prior to getting pregnant your body will be more than capable of running during pregnancy. However talk with your doctor and get the thumbs up before continuing to run. Circumstances will call for you to be less active than what you are used to. If you were not a runner before getting a baby on board, now is not the time to start a running program. Pregnancy plus adding a new running regime will put a lot of stress on the joints particularly in the knees, hips and back leading to a sharp increase in injury. Therefore, wait until after having the baby to start. However, even if you haven't been active at all before pregnancy you can start a fitness program and should be strongly encouraged to do so! Try prenatal aerobics, swimming or other exercises that are low impact. Whether you were or were not a runner before becoming pregnant it might be a good idea to take a prenatal exercise class. Your body is changing rapidly and you have different needs. Prenatal classes will give you the confidence that you are doing exercises that don't hurt the baby along with helping you realize your exercising pregnancy capacity and heart rate. Change your goals! 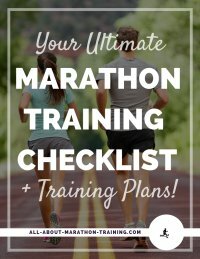 This might be hard for a seasoned runner but it is important. Your focus should no longer be on breaking a time record or running an all-out intense race. Not only will you be putting extra strain on your body and baby in doing so but it is unrealistic to set high goals as you are gaining weight and feeling a little more sub-par than normal. So relax! Take this time of running during pregnancy to rediscover why you love running and just enjoy the ride. There will always be another day and another race. Each pregnancy is different and so how you feel can differ from baby to baby and one person from another. The most important tip is to listen to how you are feeling and not overexert yourself. As far as running through the first trimester, once again get the ok with your doctor. Miscarriages are not related to running however overdoing it, overheating and the like can be indirect causes. Take it easy but know that normally it is safe to continue to run. Also you may not even feel like running during pregnancy as you combat nausea and the host of other symptoms that come with finding out you are expecting. Try and do some physical activity as it really can help alleviate the aches and nausea. For some, resting during this time can be far more important though so go with the golden rule and exercise when you can. After the foggy days of the first trimester you will hopefully be getting over the morning sickness, emotional mood swings and on the road to the happy days of the second trimester. This is when you will probably feel like running during pregnancy more since you are over the grogginess. Of course not everyone will experience feelings of renewed energy in the 2nd trimester but if you do take advantage of it and the fresh air! Try and run 3x a week at a moderate intensity level. A good guideline is running at an intensity level of "hard" but not "very hard". Once again listen to your body and walk at any signs of stress, cramps, etc. 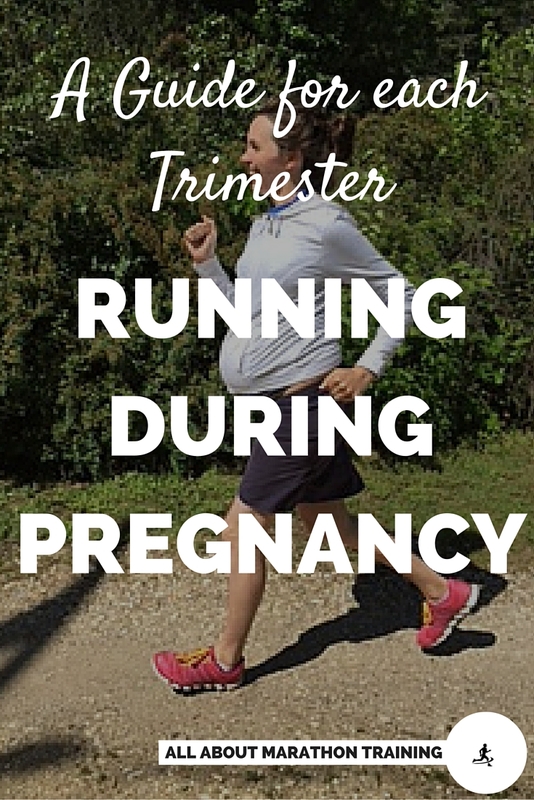 The third trimester is usually when pregnant runners tend to start doing run/walks and maybe eventually cut the runs altogether. It really does depend on how you feel. Your mileage will probably be much lower either way and you will need more time to complete each mile. That's ok, you are nurturing a baby after all! If you decide to stop running until after the baby, replace it with another form of exercise. This could be prenatal aerobics, swimming, walking, pretty much anything that is low impact. It is also a great idea to do strengthening exercises in your back, legs, arms and core (don't forget your Kegels as well) to get you ready for labor and delivery. Remember, keeping active will get you back on the road faster after the baby is born. Center of gravity. This will shift as you belly begins to pop. As it shifts you may feel that your balance is threatened and you have become clumsier. If this is the case be careful during your runs and watch what is in front of you and what you step on. Be aware of how your changing hormones are affecting your body. Progesterone, the hormone responsible for maintaining pregnancy also causes your joint tissues to be more relaxed and flexible to allow for your growing belly. I would not advise any trail running, running on uneven surfaces or doing fast sprints. Staying healthy includes staying safe and staying injury free. Allow for mood changes and emotional swings. Your body is being flooded with different hormones which will help to stabilize your pregnancy but can have an effect on how you are feeling. This may translate into your runs making you not feel up to the task. Just learn to accept it and try and keep active in other ways. It won’t last forever. Be careful when running in the heat! When pregnant, it is important not to become too hot and overheated as this can cause damage and unnecessary stress to the baby (especially a tiny fetus). This is why doctors recommend staying away from hot tubs and saunas during pregnancy. Keep runs in the heat to low mileage and intensity and don't forget your water bottle! Running puts stress on the pelvic floor which is important to keep strong especially as the baby becomes bigger and labor is in the near future. It can be more imperative to a runner than others to do those Kegel exercises that everyone is always talking about! Your breathing will probably begin to feel slightly impaired as your uterus pushes your stomach up into your upper chest. There isn't a whole lot you can do about this except to learn to breath deep and keep the oxygen flowing in as you run. The ligaments that hold your belly together and help to stabilize you can become tighter when running during pregnancy as it is trying to support the extra weight. You may begin to feel cramps on the sides of your belly. This is a good indication that you should stop and walk. In fact many runners when they feel this will begin to substitute their running for another activity. Something that really can make your running easier is to invest in a belly band. This is similar to the one Paula Radcliffe used when running during pregnancy. It gives your back and abdomen more support and decreases the "jogging" motion that the baby feels. 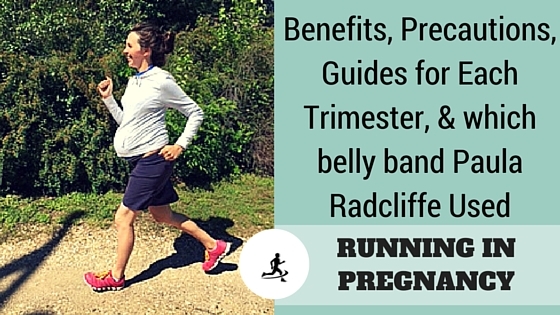 Using a band can also help to extend the time that you have for running during pregnancy. Don't overestimate yourself. This is a wonderful time to embrace the changes and just go with how your body is feeling. Some days you might feel like you could run 10 miles. Others, you will be darned if you even get up off the couch. That's ok. That's the joy of pregnancy!